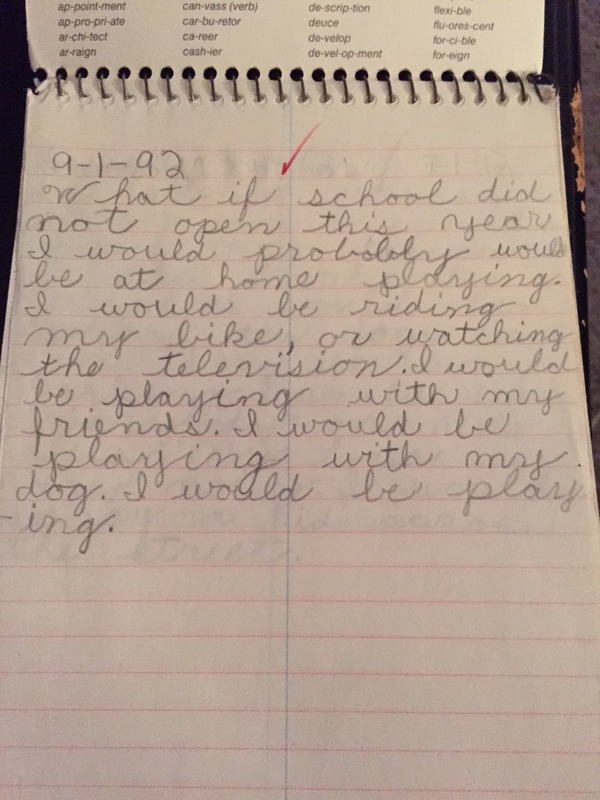 More from my third-grade school journal…. Never have I ever lived outside of the state of Kentucky. I’ve lived like, four different places within the state, but my address has never had a zip code that didn’t start with a 4. We get a reputation for being pretty back-woods up here though. And there are those parts of the state. And, whether you want to admit it or not, if you live here and have for all your life (or even a good portion of it), there’s a little bit of redneck in there somewhere. My redneckiness (yeah that’s a word…I just made up) was significantly higher when I was a kid. Weekends were spent out at my grandparents’ farm, walking on barrels and stilts and swimming or fishing in the pond. And I was a huuuuuge country music fan. And I’m talkin’ that early 90s country. Like Achy Breaky and whatnot. Oh man. Here’s the video – I’ll let you take that all in. That was my favorite song. 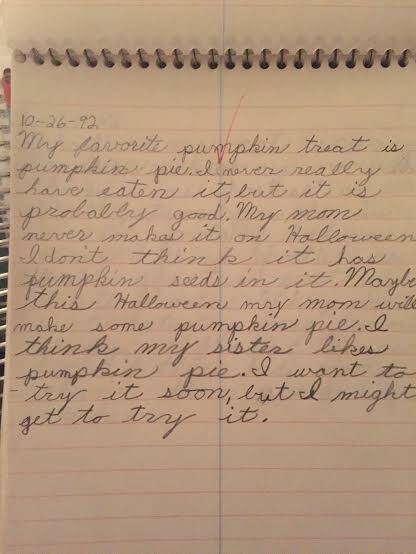 IN THE THIRD GRADE. There is so much wrong with that. But I listened to it on tape in my little Walkman on a mix with some Billy Ray and Dolly and John Michael Montgomery and Garth Brooks…. Well. 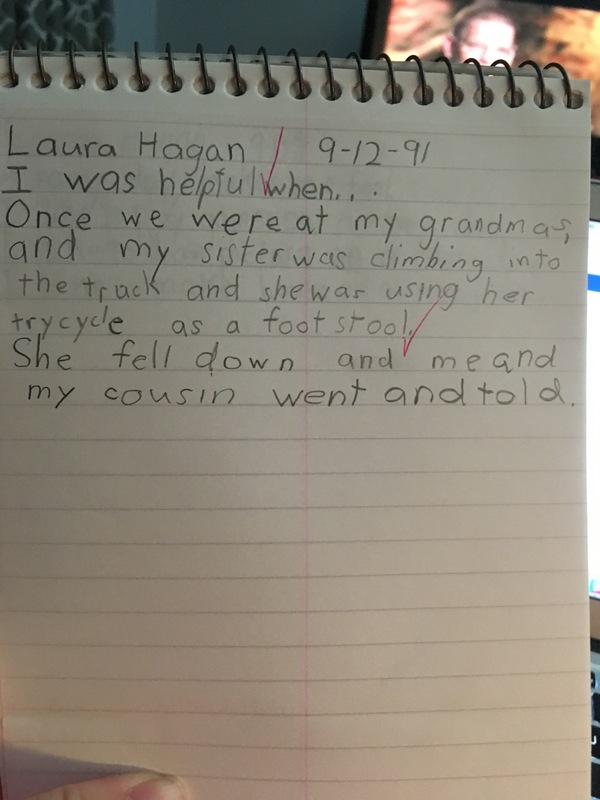 One day in my third grade class we got an assignment. Bring in our favorite song/music to share with the class. Obviously, I was going to bring my song about whiskey and women and duh why wouldn’t I? Don’t all 9-year-olds love this song? Um, because my parents didn’t want to have to meet with the teacher/principal/CPS. Well. You see the man in that video up there? With the mustache? That’s Travis Tritt. 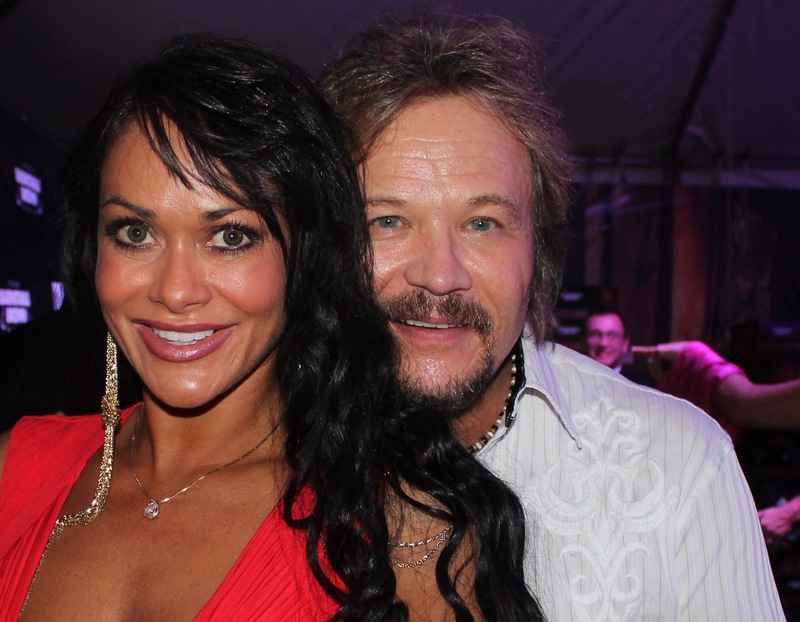 The same Travis Tritt that I found myself behind in line to get our free fedoras (YAY, swag!) at the Barnstable Brown party I told y’all about. I took a picture of him and his lady while we waited, for work, of course, but then I had a thought. When was I ever gonna see Travis again? When was I ever gonna be close enough to tell him THE story. The story that my parents love to tell people and one of my favorite anecdotes about myself. So, maybe it was those three pomegranate-y drinks I’d had or the high from meeting John and Emilio. But I tap him on the shoulder and say hey. “I told myself if I ever met you, I had to tell you this story,” I said. 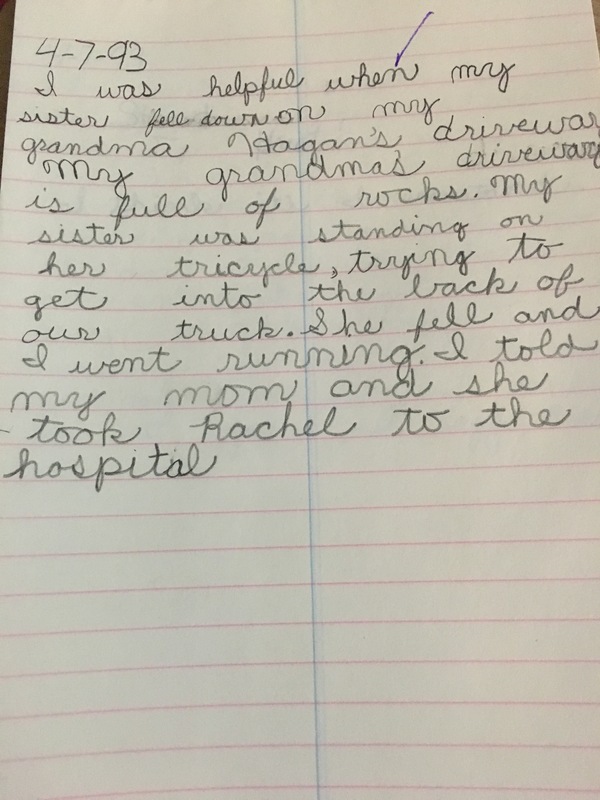 So I tell him – third grade me, his song about drinking whiskey – my favorite, the pain of not being able to take it in and share it with my class. And he, I kid you not, threw his head back and laughed. And told me that was awesome. 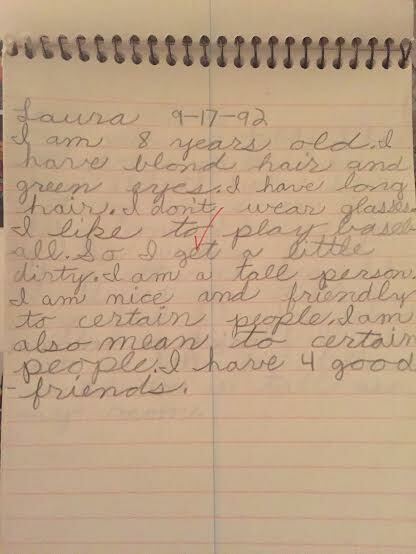 And then we were best friends. And I was like, “WHAT IS MY LIFE RIGHT NOW?” And then I went home and downloaded that song from iTunes.